Writing a Will: The frequently asked questions about making a valid Will (3) - Law Firm in Nigeria - Lawyers in Nigeria. Here are the Frequently Asked Questions about making a will or writing a valid Will. No one can see tomorrow. Death is an inevitable occurrence for everyone, both to the young and the old. If you do not have a Will, when you die, your estate will be subject to the Laws of Intestacy, which means you cannot control how your assets and estate will be administered, managed, shared, distributed or dealt with. Your estate may be completely turned apart by unscrupulous family members who have no interest in the sustenance and maintenance of your legacy. This has the tendency of jeopardizing the stakes you had worked so hard to build over the years, defeating your actual intentions for your loved ones and occasioning deep-seated family disputes after your death. However, with a valid Will, you can be rest assured that your wishes as expressed in your Will will be carried out after your demise. A Will is a legal document in which you set out what you want to happen to your assets (real property, belongings and money) when you are no more. It is filed at the Probate Registry and will be read after your demise. It names the persons who will receive the assets you own. It declares your solemn wishes to your family, friends and the society at large. What Does Having Testamentary Capacity Mean? Testamentary capacity means the legal capacity to make a Will. The law requires that a testator (maker of a Will) must have a sound disposing mind both at the time of giving instructions for the drafting of the Will and at the time of signing the Will. When litigation arises that challenges the testator’s testamentary capacity, it is usually on the basis that the testator had had senility, dementia, insanity or was under undue influence at the time of making the Will. Testator must be an adult or a minor serving in the military or a minor who is married. Are There Limits to Testamentary Freedom? In some states, the Law of Testacy prevents the testator from disposing of by Will any property which the testator had no power to dispose off under his native law and custom; or under Islamic law if he were a muslim before his death. Furthermore, certain persons who were being maintained by the testator before his death may be entitled to a reasonable financial provision in the testator’s Will if they apply to the Court within a reasonable time after the grant of probate. 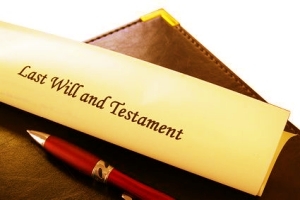 A Will can be challenged or set aside on the grounds of fraud; forgery; undue influence, suspicious circumstances; or that the testator lacked testamentary capacity, or that the Will was revoked by the testator. Can A Last Will Be Amended? You can amend a Will through a Codicil, or revoke it entirely, or make a new Will at any time during your lifetime to reflect your most current wishes and new property acquired. So, you can have a periodic review of your circumstances and amend your Will to reflect the changes, change a beneficiary, and represent your interests. Are Witnesses Necessary to the Writing a Will? The Law of Testacy requires that a Will must be signed by two witnesses, both of whom witnessed at the same time the testator signing or acknowledging his signature in the Will. Non-compliance with this requirement renders the Will void. Planning your estate by writing a Will can be very beneficial both to you and your loved ones. Your Will gives clear instructions about how you want your assets to be administered, managed, shared or distributed. Laws regarding Testacy do vary by states and any mistake on the formal requirements for making and filing a Will renders the Will void. It is important you seek legal guidance and help from a specialist Solicitor to enable you make and sign a valid Will to avoid future problems in its execution. To get started with your estate planning and Will related matters, you can schedule consultations at +2348187019206, +2348039795959, or email us at lexartifexllp@lexartifexllp.com | Website: www.lexartifexllp.com. The permission given to freely copy this article is only on the condition that BARR. EDOABASI UDO is referenced and duly acknowledged as the Author using the following format: “This article was written by Barr. 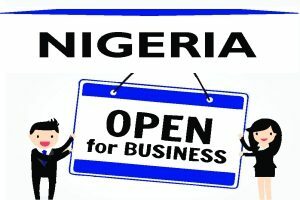 EdoAbasi Udo. View the original article at http://lexartifexllp.com/writing-a-will/”. Note that any copyright infringement shall be punishable under applicable law.